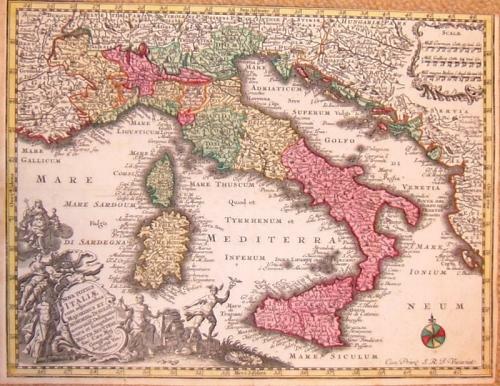 A charming map of Italy from Seutters 'Atlas Minor'. An elegant and packed engraving. In very good condition with some marginal browning. Trimmed to the top baseline although this should not hinder framing.